Streets call and the Honda Diesel CR-V answers — and how. 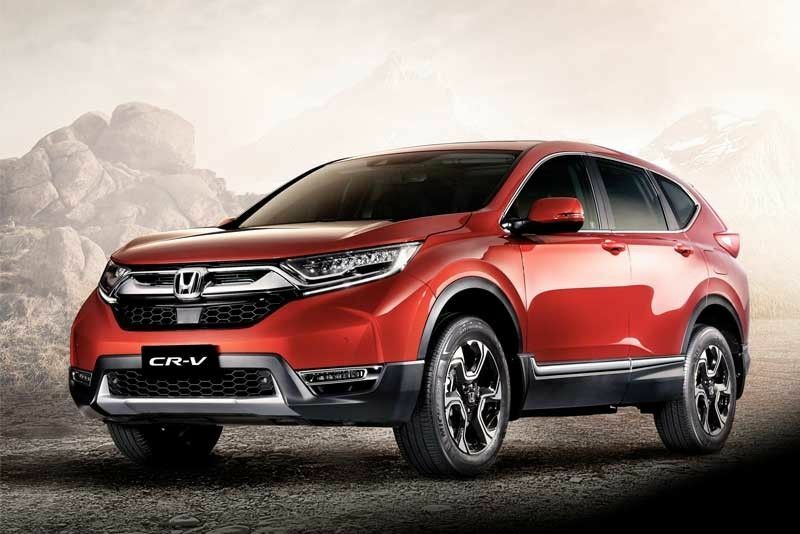 Honda Cars Philippines Inc. (HCPI) recently introduced the CR-V, the first-ever diesel model in Honda’s local lineup. As the growing demand of the Filipino market for an all-around comfortable SUV, the fifth generation the CR-V is designed with a new and efficient diesel engine complemented by a bold and sophisticated exterior styling that matches its premium and comfortable interior. So, it was with much excitement and a feeling of going far that I took the diesel CR-V for a spin. After all what is an SUV for if you can’t take your mom from here to there in comfort, right? I liked that the seven-seater diesel CR-V was quite spacious. It would be a good ride for my aging mother who uses a wheelchair. My mom loved the space of the CR-V (even if she is small) she likes to be able to move about freely as she sits in the backseat. Her caregiver had good space, too. It’s a foregone conclusion the Honda CR-V Diesel provides a shot in the arm to the Japanese car maker, given the popularity of the CR-V nameplate and the public’s hunger for diesel-powered SUVs. And, for the day I drove my mom, she — being in her late 80s — did not want a long drive, so we took a ride to her fave resto in Quezon City for breakfast on that early Saturday morning. A good sign that she’s enjoying the ride was her asking a lot of questions about the seats of a car. “Where are we going? I hope not too far,” she asked. “Just to your fave resto for breakfast,” I answered. “Good, and I like these seats,” she said and fell into sweet slumber on the ride. Honda CR-V serves and function as an all-around comfortable SUV. I liked the power that drove the seven-seater — a fuel-efficient 1.6-liter DOHC i-DTEC diesel Turbo engine. I read that it was developed under Earth Dreams Technology. The ride was smooth for a diesel drive SUV. That’s because the chassis was also engineered from the ground up to provide a more agile and confident handling. Its wider front and rear track combined with front MacPherson strut and rear multi-link suspension promotes a more responsive turn-in and cornering. And then there are the looks. Although at first glance the diesel CR-V can look daunting — not scary though — just a bit bigger. The redesigned exterior of the CR-V comes with a dynamic and aggressive design that surely meets the aesthetic requirement of the Filipino market. Revolving around its exterior concept of “Modern Functional Dynamic,” the sharp-lined front grille reflects an aggressive, yet sportier look that is further complemented by signature Honda Full LED headlights. Yes, the head light — quite fancy when these are turned on and one see the diesel CRV coming down the road. Mach would be a good 60s word to describe this beauty. The wide and muscular fenders, tailgate spoiler, and headlight integrated Guide Type LED Daytime Running Lights (DRL), gives the CR-V its modern and dynamic stance. And, did I tell you that there’s a panoramic sunroof, power tailgate, and auto rain sensing wipers that came with my SX Diesel 9AT AWD variant giving it a more luxurious feel together with ease of use of the vehicle. I was in love — so was my mom who was sleeping soundly as we drove to her fave resto. As I sat and drove, I noticed the bold and sophisticated exterior styling combined really well with the foundation of smart utility design and high-tech intuitive controls. It was an impressive drive I had that early Saturday morning. No matter how sleepy I was. My mom was now in a full reclining position as she was supported well by the cabin designed to comfortably accommodate up to seven passengers. After all the second-row seats of the seven-seater diesel variants features a 60:40 Split Rear seat configuration that slides and recline for an easy ingress and egress of the passengers at the third row. Then there are air conditioning vents and two USB charging ports at the center console are also available for added comfort and convenience. I drove with the belief that Honda has created an SUV that‘s keeping its passengers comfortable and entertained. At least that is how I felt behind the wheel of this macho beauty. And, mom? She was snoring lightly — a sign of how relaxed she was.